The prologue of TOMARI-TE … The door of astonishment is opened!! 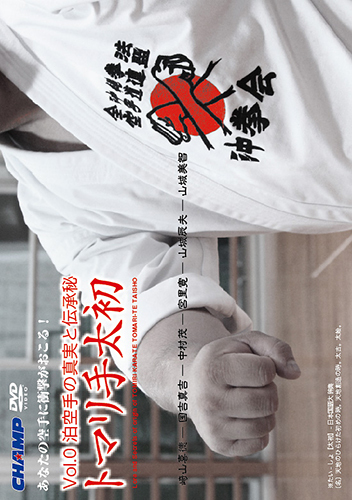 The element of the technique of the old style Karate to the match such as “Nage” and “Kuzushi” to the attack technique of Kumite match is fully loaded. 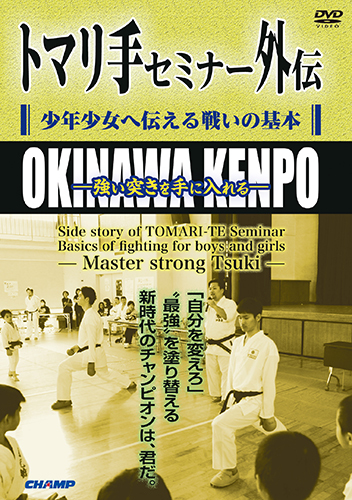 Moreover, the explanation of Kata(Naihanchi and Seisan) attached importance to by TOMARI-TE is collected. A strong impact will arise in your Karate.